Blues rock royalty King King will tour the UK in 2016, concluding with a show at Birmingham Town Hall on May 21. The special guest on the tour will be South African guitarist and singer-songwriter Dan Patlansky. 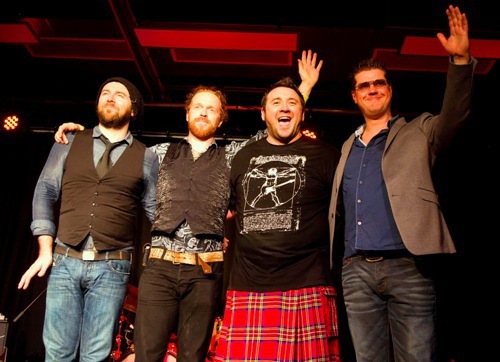 Glasgow-based King King will be showcasing their latest album, Reaching for the Light. Co-written by all four members, it was recorded between touring commitments. "We're really proud of this album," says vocalist/ guitarist Alan Nimmo. "It's faster, louder, more energetic, more exciting. It's got the potential to blow the roof off." 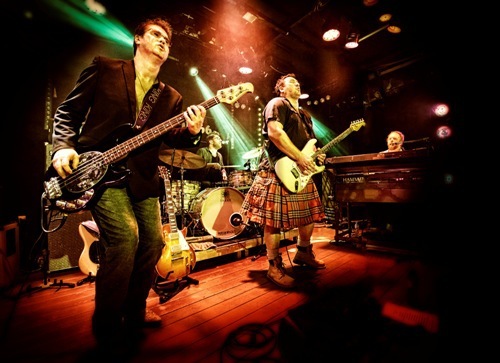 The band's line-up is completed by bassist Lindsay Coulson, drummer Wayne Proctor and keyboard player Bob Fridzema. 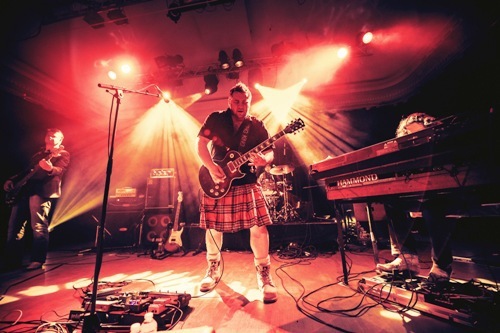 King King won five 2014 British Blues Awards, including Best Album (for second long player, Standing in the Shadows) and Best Band, and they supported John Mayall on his 2014 UK tour. "We all want to take this band as far as we can," says Alan. "We want to sell as many albums as possible, and anyone who says they don't enjoy five-star reviews is lying." The four-piece made their live debut at the Monaghan Blues Festival in 2010 but they were not exactly a 'new band'. Alan was already a familiar face on the international blues circuit, while Lindsay, Wayne and original keys man Bennett Holland were all first-choice musicians with pedigree and past-form. When they performed together they found a winning formula. Debut album Take My Hand was released in 2011 and went on to win the band's first British Blues Award for 'Best Album'. Follow-up Standing in the Shadows, featuring new keyboardist Bob Fridzema, was even more successful and led to gigs around the world. The band are now on the brink of their busiest period to date as they prepare to promote Reaching for the Light. "Our schedule is so busy," laughs Alan. "But you've just got to run with it." May 21: Birmingham Town Hall. Our schedule is so busy," laughs Alan. "But you've just got to run with it.